Keyboard switches with built-in drama. Believe it or not, there can be a lot of drama in the tightly knit custom keyboard community. The tumultuous relationship between Massdrop and Input Club (both of which we've talked about before) is probably the most salacious. Nothing illustrated the drama as well as the Massdrop Halo switch, which is a top-tier tactile switch. However, it's not as accessible as it should be thanks to all that drama. The Input Club-designed Halo switches come in two variants: Clear (white stem) and True (salmon stem). They're similar to the Hako switches designed by Input Club more recently, but the tooling is different—it's a traditional MX-style housing from Kailh rather than a Box switch. The Clear switch, which is what I've been using lately, is the lighter of the two, but it's still heavy compared to most Cherry switches at 78g at the bottom. Trues are even heavier with a bottom-out around 100g. Input Club designed these switches a while back with the intention of using them on multiple boards beginning with the K-Type. The stem design and spring are a bit different than what you'll find in other tactile switches. The "bump" starts closer to the top of the press, and it's a bit longer and rounder than something like a Zealio. Halo switches actuate just on the other side of the bump, about halfway down. 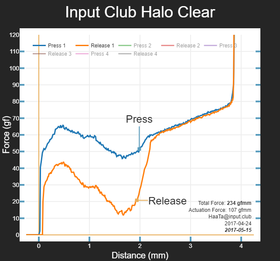 The difference between True and Clear versions is simply that the spring weight on the True ramps up faster after the bump, giving them a "cushioned" feel like a Cherry MX Clear. The Halo switches also use a tweaked housing that features a "light pipe" design. You can't install in-switch LEDs with Halos, but they're ideal for PCBs that have SMD LEDs on the surface. They shine up into the light pipe, which evenly distributes illumination through the switch top. 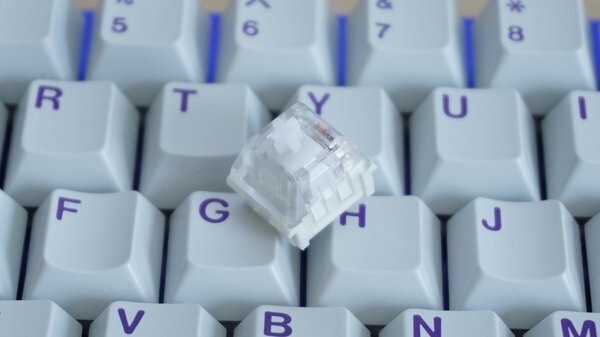 You can buy batches of Halo Clear and True switches from Massdrop right now, and that's the only source. 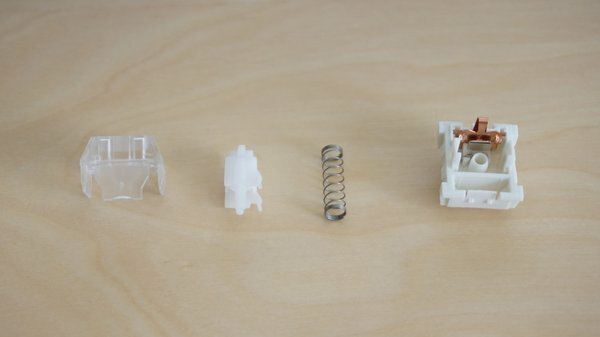 Input Club opted to sign over the rights on the switch design to Massdrop, and in return, Massdrop paid for all the tooling to manufacture the switches. 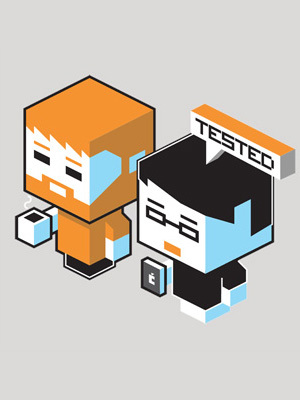 Input Club was supposed to have a license to purchase the switches for its own projects, but the two companies had a falling out. As a result, Massdrop barred IC from buying Halo switches. That's why the Hako switches exist. Personally, I think the Halo switches are better—the tactility is stronger, and there's no concern about damaged keycaps from the old Box designs. If you want some Halo switches, pricing starts at $35 for 70 of them. Unlike most Massdrop items, Halo switches ship within a day.